This stunning second novel from Angie Thomas is set in Garden Heights, the same fictional neighborhood as The Hate U Give (2017). 16yo Bri raps to express her feelings, but when an opportunity arises to be able to make money from her rapping, she has to decide whether the price she’ll pay is worth it. Bri lives with her mother and brother, somehow just about scraping by. The author paints a warm portrait of a loving home: Bri’s mother is an ex-drug addict who is barely coping but is committed to raising her children to a better way of life; when she loses her job the fragile hold they have on managing is broken. Her brother has graduated from university but can’t get any better job than working at a pizza place. Meanwhile the gang members, including her Aunt Pooh have plenty of money. Bri goes to an arts school in a more affluent part of town and is part of a small group of brown and blacks students, which enables the school to maintain its funding. But the security guards seem to single out these students for searches, and when one of them tries to search Bri’s backpack, her frustration at the situation explodes. Then the video of a part of this exchange gets onto social media and assumptions are made about what the search was for. All this make Bri feel powerless: She wants to take control of her destiny and take the power away from other people over her. 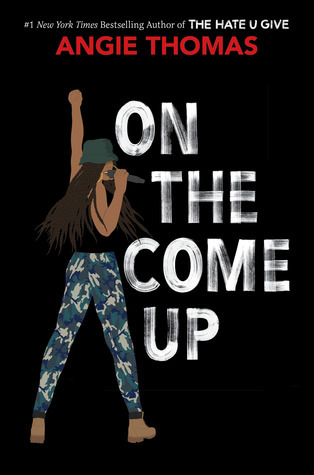 For Bri getting the “come-up” and making it means money initially, but it becomes more complex and nuanced. As the daughter of now deceased local rap legend Lawless, Bri already has a certain kudos in the neighborhood, and her brilliant performance at a rap battle helps to solidify that. So when she records an anger-fueled rap that plays with black stereotypes that’s taken at face value, she has a tough decision to take: does she want to persist with this potentially lucrative “hoodlum” image or does she stay true to herself. Thomas brilliantly plays with the theme of perceptions: the perception others have of Bri because she is black, because she is angry, because she is a girl, because she is a teen and all the combinations of those. Bri’s perception of herself and the persona that she wants to present move and coalesce over the course of the novel. I was a little fearful about a novel with rap in it: I’m a middle-aged white woman and it’s not really my thing. I have frequently found rap or spoken word poetry in YA novels to be excruciating and have hastily skipped over them. But Bri’s raps jump off the page with rhythm and edge and while they read well on the page, I suspect the audiobook rendition would be on a whole other level. This is another fantastic, intelligent, and powerful novel from Ms Thomas and will cement her position at the front of the YA pack. 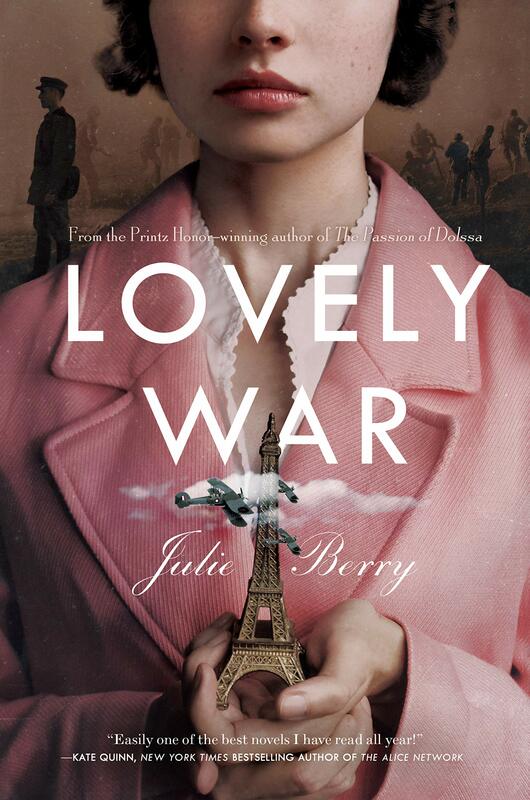 A gorgeous and lush YA romance set during World War I is framed by a quarrel between the Greek gods representing the novel’s big themes of love, war, art, and death. When James Aldridge meets piano playing Hazel Windicot at a parish dance, they have only a few days together before he leaves for the front. They are both terribly British: shy and innocent, reticent yet thrumming with interior emotions. They have tea, stroll through parks, and go to a concert, and though they have never even kissed, it’s clear that theirs is a love for the ages. As James is whisked off to the trenches, Hazel signs up to entertain the troops in France. There she meets up with Belgian Colette Fournier, who has survived a German massacre of her town in which all her friends and family were slaughtered. Through these two women we get to see the confining sexism of the times – neither British nor Belgian women got the vote till after the war, but it’s more the social and cultural norms that chafe here. They both get to know Aubrey Evans, a black musician (all other main characters are white) who plays with real-life Jim Europe’s 369th Infantry ragtime band aka the Hellfighters. Through Aubrey we see the horrific bigotry that the black soldiers faced from their compatriots. As Aubrey and Colette begin to fall in love, there are warning signs that an interracial romance will be a grenade lobbed into the rigid propriety and attitudes of their “superiors”, so when Aubrey disappears, Colette and Hazel fear the worst. Both epic and intimate, the novel contrasts the minutely detailed horrors of the trenches with the exquisite intensity of love, particularly during an enchanting interlude when Hazel and James meet in Paris. None of the protagonists are unscathed by the war but, like me, I think many readers will be swept away by the glorious story and the message that, in the end, love conquers war and death. Here’s my last review of the books I read for the 2nd round of the Cybils Middle Grade Fiction award. Harbor Me probably generated more discussion than any of the other books and was more divisive. But here’s the great thing about the Cybils: the shortlist can include the cozy wish fulfillment of, say, The Doughnut Fix and as well as the gritty reality of Harbor Me. It’s a hard job comparing the two, but was most gratifying, and if you haven’t had the opportunity to read about the winner, The Parker Inheritance, now’s your chance! A class of 6 special 5th/6th grade kids are given a weekly opportunity by their teacher, “tall and soft-spoken and patient Ms. Laverne” to just talk to each other about anything without any adult supervision. Over the course of the novel, we get to know these kids and what they’re going through. Biracial narrator Haley is dealing with an upheaval in her life as her uncle, who has been her only parent while her dad was in jail, is moving out when her father is released. Latinx Esteban’s father has been detained by ICE and the rest of his family are fearful about what has happened to him and what might happen to them. Ashton, the only white kid in the grade, is being physically bullied by other kids. African American Holly, Haley’s best friend, has ADHD and can’t sit still. Native American Taino and African Amari have both faced racism and prejudice. 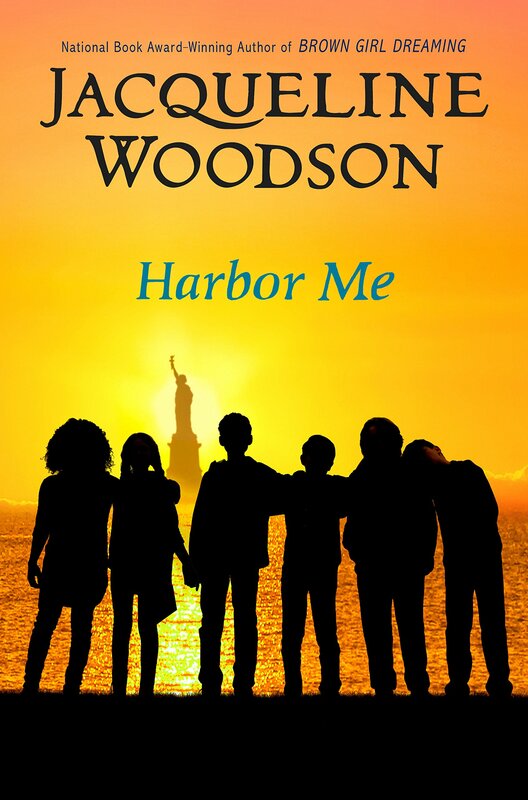 This sounds like a list of “issues” but Ms Woodson is such a skilled writer that the kids’ problems are integrated very naturally into the novel and are only part of their story and who they are. As they go to the art room, which they re-name the ARTT (a room to talk), each week they gradually form a deep bond as they tell their truths and start looking out for each other, fulfilling Ms Laverne’s request that they be a harbor for people who need it. I found it particularly interesting how the author takes on race through Ashton who has the “white pass” but is now in a school with mostly brown and black kids. He’d never thought about being white before but now he is as aware of the color of his skin as his classmates have already had to be and the other kids in the ARTT help him to thresh through those feelings. These are real kids who are not defined by their problems but who have to deal with them as part of their daily lives. And let us not forgot, as the cover reminds us, these are all American kids, no matter their ethnicity or family origins. The reader will care about all of them and it’s a wonder that Ms Woodson manages to cram so much into such a short novel (less than 200 pages!) without it feeling in any way forced. Week three of the Cybils Middle Grade Fiction shortlist. Front Desk was my personal number two and was well-liked by some but not all of the other judges. It’s 1993 and 10-year old Mia Tang and her parents moved from China to the US two years ago. It has not been what they expected: “My parents had told me that America would be this amazing place where we could live in a house with a dog, do whatever we want, and eat hamburger till we were red in the face.” Now they are managing the Calivista Motel in Orange County for the despotic Mr Yao and, apart from the occasional shared burger, none of their dreams have been fulfilled. 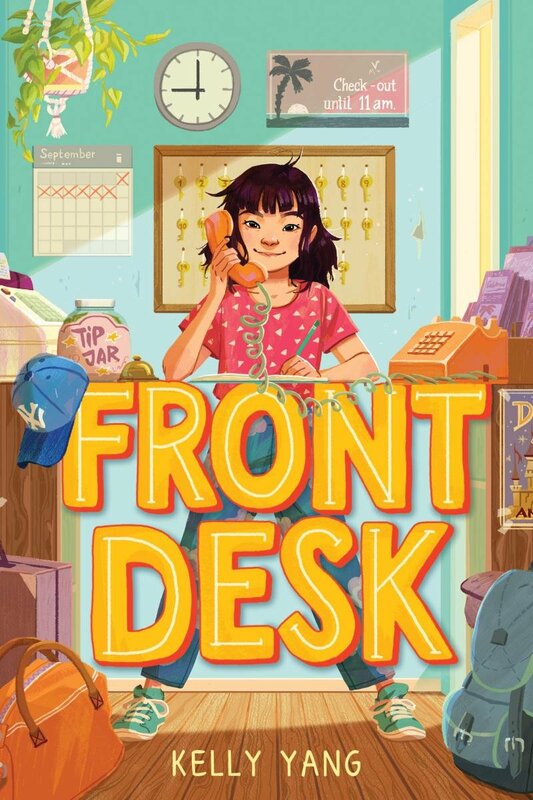 Mia takes on managing the front desk, learning from her mistakes as she goes along. She and her parents work hard but the abusive owner allows them barely enough to scrape by on. As one of the few Chinese kids at her new school, Mia has to face bullies and uncomprehending teachers. Even her mother is unsupportive, telling her she should focus on math as she can be a native at that but not at the English writing that Mia loves. Mia is a go-getting optimist with a kind heart and a strong sense of justice. As her confidence grows and her natural abilities flourish, she starts to writes letters to help set things right – whether for African American Hank, one of the motel’s “weeklies”, for some of the Chinese immigrants that her parents secretly shelter at the motel, or to counter a racist policy adopted by local motels and stores. Drawing on the author’s own childhood experiences, this novel looks at the important topics of poverty, racism, and the oppression and exploitation that prevents people from breaking out of the cycles they’re stuck in, but does so with a light hand and integrated into a charming and empowering story. Though the ending trails off a little into fantasy, middle grade readers will feel that Mia is rewarded for all that she has endured and for all that she has done to make her community a better place. Week two of the Middle Grade Fiction shortlist reviews is a novel which was the runner-up in our judging panel (just behind the stupendous The Parker Inheritance). Though it was not my personal runner-up, I enjoyed it very much and I believe it has a great deal to offer to middle graders who feel that their differences isolate them. 12yo Lucy Callahan was struck by lightning four years ago and since then has been a math genius as she has acquired savant syndrome (apparently a real, though very rare, thing). She also has OCD and her brain is often taken over by numbers. She has been homeschooled by her Nana (her mother and father are both dead) and has graduated from high school online and is ready for college classes, but now Nana thinks she should develop some other skills and has decided she should go to a real middle school in a grade appropriate to her age. Reluctantly Lucy goes along with this and decides she wants to be “normal” and ordinary so she hides her math skills, but she can’t hide her compulsive behaviors and quickly becomes the target for the mean kids’ laughter. But Lucy does make friends, with Windy and Levi, and they form a group for their class community project, which benefits from Lucy’s gift. Perceiving yourself to be “different” is a common enough theme is middle grade and YA fiction, and, indeed, is common in real life, which Ms McAnulty acknowledges when Windy pushes back at Lucy – asking her if she thinks she’s the only person who’s ever felt different at their school. Of course, in one respect, Lucy is very different, but in many others she’s just a regular kid and the author does a great job of showing these different facets through Lucy’s narration. She wants to have friends and she wants to be treated the same as the other kids, with respect and dignity. She does not try to make anyone feel bad about their math skills, in fact she offers to help Levi as well as suggesting some forums he could try if he would find it weird to be tutored by her. Her friend Windy acknowledges that Lucy is an accepting person, she doesn’t try to change anyone but tries to understand them. The secondary characters are well developed. Windy, in particular, is a lively girl, enthused about doing good in the macro sense, but a little bit oblivious when it comes to actually making a real difference. Levi is a bit more of a sketch: he’s a brown skinned boy with two moms who likes photography, but he’s more grounded than Windy. The community project ingeniously meshes together the skills of all three kids and could inspire readers to see a way to making a difference themselves. 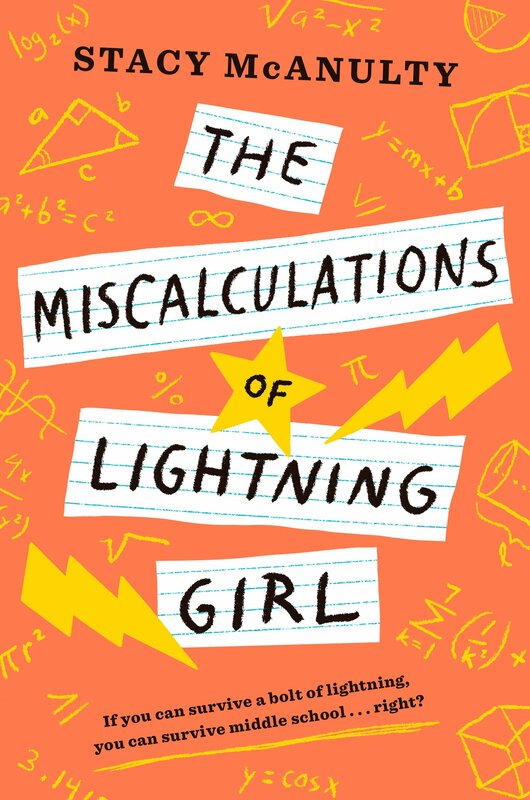 As Lucy’s year at middle school passes, she understands and appreciates why her Nana sent her there, so when she has an opportunity to move to a high performing school which would allow her to develop her math skills more, she is torn and the reader will be too. So I have spent the weeks since the beginning of the year reading and judging middle grade fiction for the Cybils awards. It was very satisfying: I read some terrific novels and had some interesting discussions. 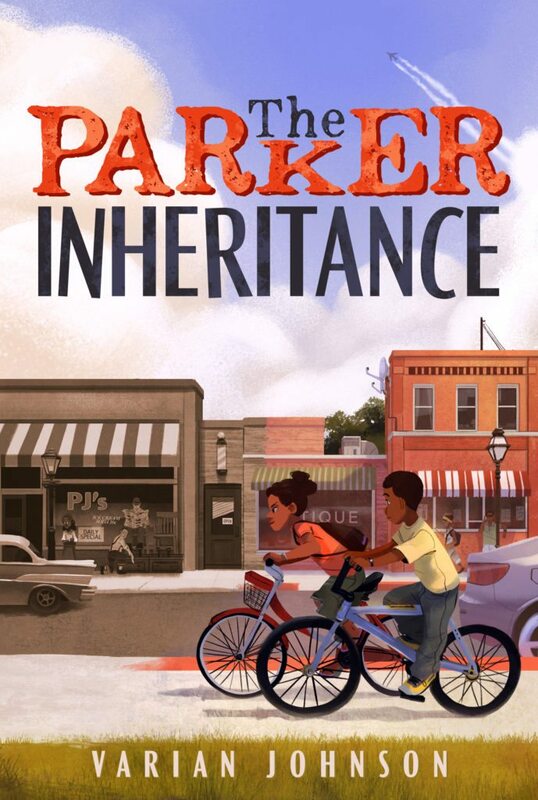 In the end, our choice came down to two novels and I’m thrilled that my top choice, The Parker Inheritance, won out. That’s today’s review and over the next few weeks I’ll post about the other books. In case you’re interested, here is the link to the full list of Cybil award winners. As Candice and her new friend Brandon (both brown-skinned like the majority of characters in the book) try and work out the clues that will lead them to the treasure, they uncover the Jim Crow past of Lambert, particularly an incident involving a tennis match and the African American Washington family. With twin themes of “Just because you don’t see the path doesn’t mean it’s not there” and “We hear what we want to hear. We see what we want to see,” Inheritance covers a lot of ground about prejudice both past and present. So here’s a list of the topics the novel explores: sexism, gender roles and labelling, homophobia, racism, segregation, police violence against Black people, Jim Crow, passing, miscegenation. There may well be more but those are the ones that immediately came to my mind. These are all woven organically into a terrifically absorbing mystery as Candice and Brandon try to crack the puzzle which is really well worked through, and the elements that the kids take on can also be solved by the reader (albeit a very smart one). The characters are vividly created – not just our main two protagonists but all the support ones, and the author gives them all some complexity and nuance. Though there are some out and out villains, those on the side of good, adults and kids alike, are not perfect but recognize their slips. The South Caroline setting, both past and present, is powerfully evoked and the Jim Crow era is strikingly brought to life through both Candice and Brandon’s research and the chapters set then that are interspersed throughout the book. This book is the real deal and a thoroughly deserving winner. It covers so many important issues without making them “issues,” and fully integrates them into an engaging and thought provoking novel. Reedy (The Last Full Measure series) mixes up a rather bland middle grade scifi stew of Ready Player One and Enders Game when five 12-year old gamers are invited to take part in a virtual reality Laser Viper tournament. In an unspecified future, much of life, including gaming, is conducted in Virtual City, created by William J. Culum, the CEO of Atomic Frontiers. So when white Rogan, Shay, and Brett, along with brown-skinned Jackie, and Asian American Takehashi arrive at the Atomic Frontiers specially constructed game arena they are initially beguiled by William J. Culum. But as the gamers play competitive missions and contestants are eliminated, the remaining ones start to have some disquiet about how the game is really working. Despite this potentially exciting set up, the game sequences lack the expected fizz and despite the cinematic style of the writing, they drag, not helped by the clunking acronyms and ‘gamer-speak.’ The characters are two-dimensional, even the main protagonist Rogan who at least has been given some family background, and their relationships lack chemistry and are workmanlike at best. Trent Reedy has written some really good novels – the first two novels in The Last Full Measure series, Words in the Dust – so he clearly has talent. 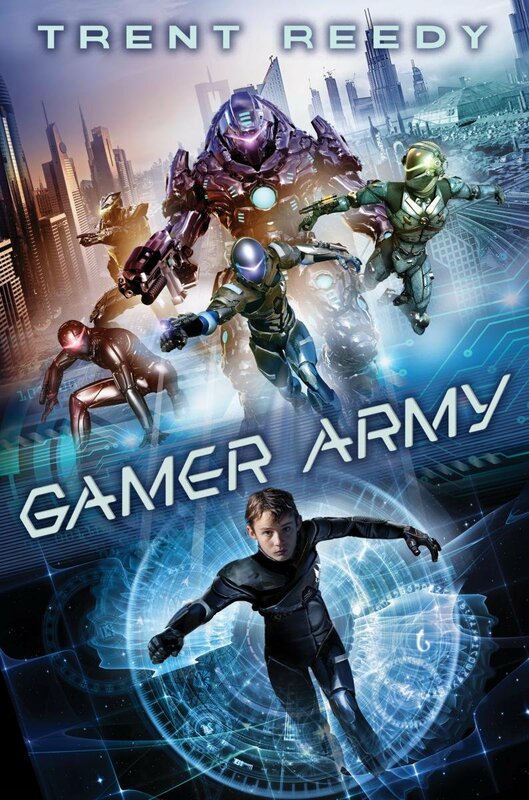 But this novel feels like the start of a series that has been commissioned to appeal to kids who are more interested in video games than books and just falls flat.